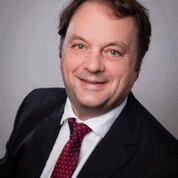 Simon has over 25 years experience as a specialist family lawyer. He was previously a member of the Law Society’s Children Panel representing children and parents in complex and serious cases. His current private law children practice covers all issues involving married and unmarried parent. Cases range from where a child should reside and how much time a child should spend with each parent. In addition cases may deal with specific questions including where a child should be educated or how a child should be known. In addition to being an arbitrator I am an accredited mediator qualified to see children in direct consultation in mediation. I practice as a collaborative lawyer. 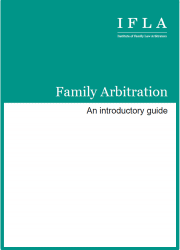 I believe that Arbitration is an ideal process that can help parents efficiently, cost effectively and fairly resolve their disputes where an adjudication is needed. This may be following a mediation process that was unable to resolve all of the issues in dispute or simply as an alternative to lengthy and costly court proceedings. 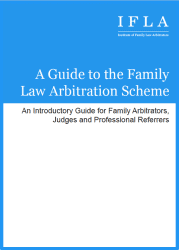 Arbitration can resolve not only the bigger questions of living arrangements but also effectively determine discrete issues including Christmas and birthdays contact and handover venues.